With the end of summer and the closing in of winter, we might want to get our home heater and HVAC systems working correctly as none of us would want to get engulfed with bitter cold, even inside the house. In these situations, you will find your heating system or HVAC system has given up on you and you are better left alone to tackle the bitter cold, all by yourself. What to do when you face such situations? What is the secret of keeping your home heating system or HVAC systems work properly throughout the long, bitter winters? Well, the answer to both of these questions is to hire some Heating Repair Services and get your home heating systems repaired. Such painful situations occurs all the time, leaving the house dwellers not an option but to resist the cold winter nights under a blanket, shaking to bone. The best way to ensure that you don’t have to face a situation so worst, make sure that your HVAC system is working fine and will be able to make it up through the whole winter. Again, the best away to check its durability and longevity in the near future, call for Heating Repair Services and get your HVAC system checked and repaired while there is still some time before the dawn of bone freezing winter. There are two options available when it comes to choosing Heating Repair Services for your home. You can either hire a professional who works alone or who is an independent contractor, or call up an agency with many such contractors under it and fix an appointment. Both the options have their own advantages and disadvantages. In case of an agency or company, you will be able to call up at any point of time throughout the whole day and get a contractor ready to check your HVAC system and repair it accordingly. However, they would not work according to your schedule, instead you will have to take an appointment and wait for him to walk to your house at his specified time. On the other hand, if you appoint an independent contractor, you will be able to get your heating system fixed and repaired according to your schedule. Another advantage is that, you will be able to grow a relation with this individual, which will prove to be beneficial in the long run. Disadvantage, however, is that you might not be able to hire him on an emergency situation, as he will have other clients to attend to. Not calling for Heating Repair Services until your heating system shows problem can be a daring but stupid idea. Proper systematic maintenance can keep your system alive for a long time. Once it stops working, it can be expensive to fix them up. 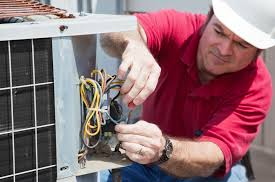 However, while hiring a heating repair service provider, either an agency or an individual contractor, make sure to check his license, as it would ensure that your HVAC system falls in the right hands and there is chance to present back life to your machine.